Another website that’s great for us Chinook Jargon learners and preservers is Eric Michael Bernando’s blog “Chaku-Kəmdəks Chinuk Wawa“. As the URL for Eric’s site tells, it’s a place to “learn Chinook Jargon”. Please go read his blog, and learn how you can attend weekly classes, occasional weekend workshops, classes at Portland Community College, and even more learning events. 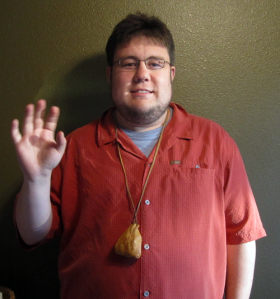 Skukum mamuk, Eric, for working to keep the language going!